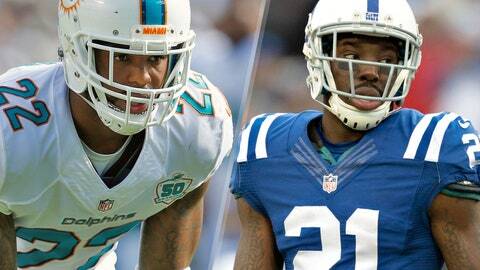 Jamar Taylor (left) has been a bust for the Dolphins, while Vontae Davis (right) has shined in Indianapolis. Trades in sports don’t always work out for both teams. In fact, more often than not, one team comes out as the "winner" down the line. That’s certainly the case with this trade from 2012 involving the Indianapolis Colts and Miami Dolphins. Before the start of the 2012 season, the Dolphins sent 2009 first-round pick, Vontae Davis, to the Colts for a second-round pick and a conditional sixth-round selection. Unfortunately for Miami, the Colts retained their sixth-rounder because Davis didn’t play at least 65 percent of the team’s snaps in 2012, meaning the Dolphins only received a second rounder in the deal. Since the trade, the two teams have gone in very different directions. Here’s how it looks three years later. 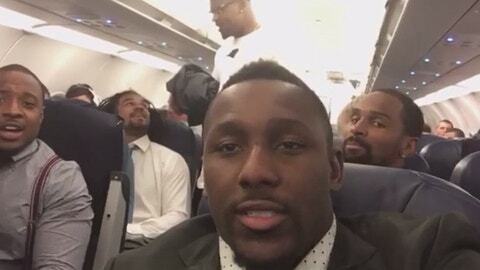 Get unique, first-person perspectives from NFL players in our PROcast videos. Vontae Davis, CB: Davis was far from a household name during his time with Miami, but he wasn’t a bad player by any means. He recorded nine interceptions in his first three seasons, taking one back for a touchdown as a rookie. However, the Dolphins didn’t feel it was in their best interest to keep him on the roster, partly because of reported concerns with his drinking. He reportedly showed up to practice drunk and was benched in 2011, but there’s no doubt he’s changed those habits that plagued his career prior. Since being traded to the Colts, Davis has been named to one Pro Bowl (2014) and won a Defensive Player of the Week award in 2012. He’s nabbed 11 interceptions in three-plus seasons with the Colts and has only missed one game since 2013. Though he’s struggled this season, Davis is considered to be one of the top shutdown corners in the league and has helped Indianapolis’ secondary greatly. Jamar Taylor, CB (second-round pick): Taylor was the only player Miami got out of the trade after the conditional sixth-rounder was retained by the Colts. He was expected to be the Dolphins’ top corner after he was taken 54th overall in 2013. It’s safe to say that’s hardly been the case. He’s started just nine games in three years and has yet to record a single interception. And prior to this season, he had zero passes defensed. By comparison, Davis has picked off eight passes and knocked down 45 passes in the same span. The Dolphins may not have thought Davis was worth the headache, but there’s no doubt they didn’t get a great return from the Colts. Few expected Davis to turn into the cornerback he is today, yet he’s done nothing but prove doubters wrong. Three years removed from the trade and it’s obvious the Colts got the better end of this deal. Davis has kept his act together and been the No. 1 cornerback for years. He’s also played a role in helping Indianapolis win 39 games in three-plus seasons since being traded to the Colts. The Dolphins, on the other hand, have won just 28 games in that span and have holes all over the secondary. To make matters worse, the Dolphins traded up for Dion Jordan in the 2013 draft, surrendering their other second-round pick to select him. They likely felt comfortable doing so given the fact that they had two second-rounders, but Jordan hasn’t worked out for them, either.